"My aim is to to enhance the well-being of women during pregnancy and birth, in the postnatal period and beyond." Sarah has been providing classes for mothers in Bracknell for over 10 years! 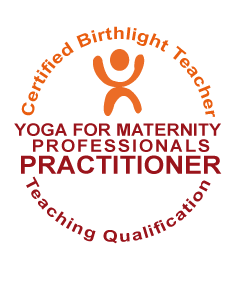 Having found yoga hugely beneficial throughout her own pregnancies, births and the postnatal period she is passionate about the positive effects it can have during labour and birth. 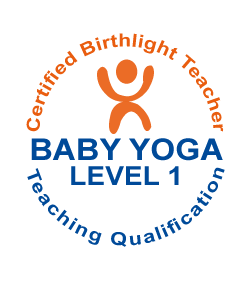 Sarah is a fully qualified Birthlight Yoga for Pregnancy teacher, also qualified in teaching Baby Yoga, Postnatal Yoga and Well Woman yoga. 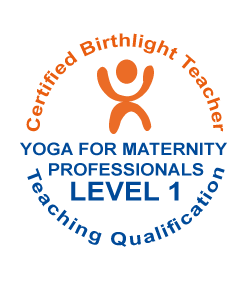 "It is such a joy to pass on the wonderful practices of this yoga to mothers over the past 12 years, meeting wonderful women many of whom continue to come back to my classes in subsequent pregnancies and to practice women's yoga". Sarah is also a qualified infant massage instructor and also worked as a qualified NCT antenatal teacher for several years, gaining experience in helping couples make the transition into parenthood. 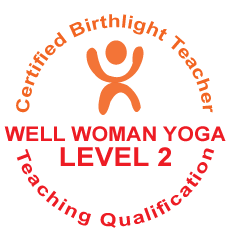 Sarah has trained with the founder of Birthlight, the world renowned Francoise Freedman, as well as other well known yoga teachers Tara Lee and Nadia Raafat.